Does day come first or night? The paradox of both the above statements may not share the same fundamental improbability, but they do seem to share a space occupied by queries long left unanswered. Since the second paradox seems too easy to discern, we will attempt to unlock the paradoxical nature of the first statement, Course Vs College. The capitalized letters in both course and college at the end of the previous sentence should highlight how these two strands of college education have come to clash over the past few decades. This phenomenon, although rampant in India isn’t exclusive to the subcontinent alone. Many countries with a stable education system have students facing a similar dilemma from time to time. For a different perspective on this triviality, let us consider an analogy with a similar fundamental footing. Which is the best smartphone in the market? Who serves the best pizza in India? Which cab service is the most reliable in Delhi? 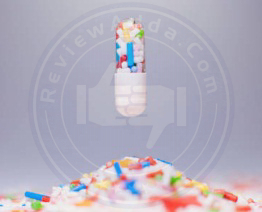 The answers to the questions above are usually given promptly without hesitation. Even those of might not have used an iPhone or had a pizza at Dominos would probably answer in the same manner. This is where the line between perception and quality becomes blurred. In the market-place, perception is everything. Customers only seldom want to know the details of a product or the work which has gone into developing its quality. It is the brand name which takes forefront and captures the imagination of the customer. Every marketing battle primarily boils down to a battle between perceptions. Consider a smartphone manufacturing company. The creation of a smartphone much better than the iPhone is much easier for a given company than reversing the perception of iPhone being the best smartphone in the market. A similar example could be used for a restaurant chain making better pizzas than Dominos or a taxi service much cheaper and efficient then Ola or Uber. The world is ruled by perception, and brand perception has slowly become much more important to companies than product quality. This is not to say that product quality is completely redundant. Without a quality product, the brand itself will cease to exist. However, the focus of companies has inevitably shifted towards brand perception and awareness. Why does a choice between course and college inevitably make its way into student minds in the first place? The most natural course of action for any student should be to choose the course of his/her choice. The choice of college is secondary as it is merely a platform for the course. The course in itself should ideally always come out on top. This is where we need to separate ourselves from idealism and discuss the realities of education system of India and the emerging stakeholders. The quality of higher education imparted in India isn’t uniform. This may not come as a surprise. However, the disparity between the top colleges and the bottom dwellers is shockingly appalling. This disparity is the reason why course and college become a topic of tenuous discussion. One cannot simply choose the course of his/her choice, as the college plays a huge part in the quality of education and the scope of further opportunities. Sahil’s case isn’t unique by any stretch of the imagination. This situation is faced by students every passing year. From fields in engineering and sciences to management and commerce, the dilemma over course or college always finds a place. 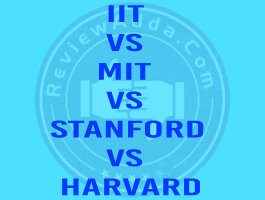 Course vs College: Does the problem vary with difference in field of study? How does the clash between course and college vary between students from different fields? The dilemma between the two is much more protracted in engineering. A key reason why engineering students fall under this mess more often than students from other fields is the latitudinal difference between engineering branches. For instance, asking a student to curb his passion for CS or IT and settle for civil just because of the college is a cruel request. Civil engineering is in no way related to CS and IT. To ask someone to forget about a lifelong ambition and compromise for something entirely unrelated is unjustified. A similar case can be made for students who look to get into EC or EE related fields, but have to settle for a completely left-side choice such as Mechanical or Civil. In undergraduate commerce degrees, the situation is less dire due to lower latitudinal difference. Choosing between BBA and B.Com is comparatively less consequential. In such a case, students ideally choose the better college as the end game in commerce boils down to further studies. 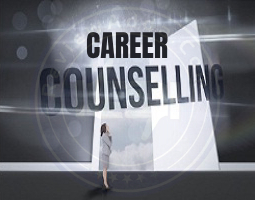 This can mean an MBA or PGDM course or a professional course such as CA, CS or CMA. On an undergraduate level, engineering students face this problem more than any other students from varying fields. On a postgraduate level, a limited number of options makes decision-making easier. Fields become much more focused and tend to overlap. In contrast, MBA aspirants face a similar problem as engineering aspirants do. 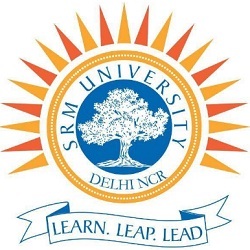 A number of branches representing varying departments of management tend to arouse a similar level of confusion amongst students as technical fields such as engineering does. This article will aim to discuss the trivialities of choosing between course and college for B.Tech and MBA. The most popular full-time degree in India, engineering is notorious for putting students in a difficult spot during the time of admissions. Each branch represents a different set of fundamentals and job opportunities. As stated earlier, while the more common tradition should be pursuing course ever anything else, the situation in India has its own nuances. A popular saying suggests that cricket and politics are the biggest religions in India. The only field which comes close to the behemoth built around these two fields in engineering by a long distance. The reasons behind this obsession are many. To examine the genesis of this obsession, one would have to turn back more than 100 years when India was fighting World War I on the behalf of the British Empire. The mass productions of all types of war machinery drove the initial demand for engineers. Although the manufacturing industry primarily comprised of only British engineers, the equation soon changed as the ruling class realized the need to create a foundation of young Indian engineers to meet the needs of the war. Post-independence, the leaders of our country deemed it best to further improve upon the initiative undertaken by the British. This notion led to the establishment of the IITs and RECs (now known as the NITs). Though the aim of pioneering institutions such as IITs and NITs was to stoke the scientific temper of Indian youth at the time, their name soon became synonymous amongst the general public as a mere ticket to a secure future. Even to this day, the IITs gather the same clamor they did nearly 40 years back. Though many factors played their part in developing the obsession known as engineering, the constant hoopla surrounding the IITs was one of the biggest factors which led to the clamor behind engineering. For every engineering exam, there is a division between the candidates who pursue engineering as a passion, and some who pursue engineering for the brand value. Over the years, the latter has become on increasing majority. This trend can be attributed to the single window entrance exam system which puts all students on the same pedestal for direct admission to engineering colleges. 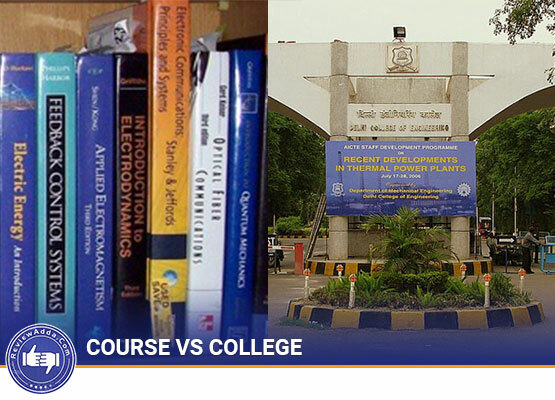 The choice between these course and college for these two categories of aspirants is also different. For an aspirant passionate about pursuing engineering, course should always tale credence over college. A student passionate about engineering and his/her desired field of engineering should never compromise for a better college. The same cannot be said about an aspirant who pursues engineering for the brand which comes attached with it. For a candidate merely pursuing engineering as a profile builder, the choice between course and college should be the latter. Arguably the most popular postgraduate course in India, an MBA degree is one the most prized qualifications in the modern corporate industry. Unlike previous years when management was considered a luxury course at best, the rise of Indian market on a level previously unforeseen has made the services of management professionals indispensable. The clamor for MBA colleges has been much more widespread in terms of diversity than engineering, as people from a variety of fields such as engineering, humanities, sciences, commerce and accountancy can apply. 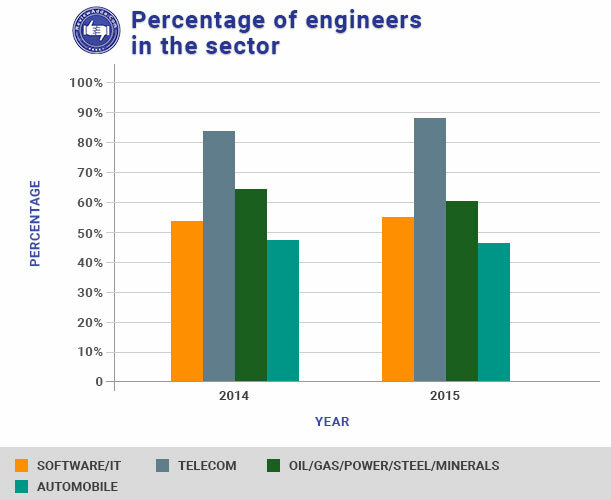 This vast diversity is encouraged as unlike engineers whose job is much more industry-focused, management professionals are expected to manage any kind of business. MBA has captured the imagination of many young Indian students in India. Leaving aside the obvious popularity of top B-schools such as the IIMs, XLRI, NMIMS and others, a strange routine of taking up MBA preparation has developed amongst a sizable proportion of students. The routine, suggested previously, essentially implies the lateral movement many student, mostly engineering students, tend to make after their degree completion. If this is the case, why then are most engineers still finding MBA to be a more palpable choice? Unlike engineering branches which can become too technical and procedural at times, MBA branches tend to focus more on the practical aspects of management. Each field represents one different aspect of management in a work environment. Some of the most popular branches are listed below. GM and Finance tend to the most in-demand courses amongst MBA aspirants due to the central nature of the challenge they pose as compared to other branches which are often considered auxiliary to the basic demand of management professionals. 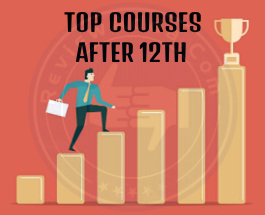 The reason why the choice between course and college is more complicated for MBA courses is the relative increase in overlapping of many courses. For instance, GM tends to encompass many aspects of other branches such as finance, supply-chain, HR and marketing. 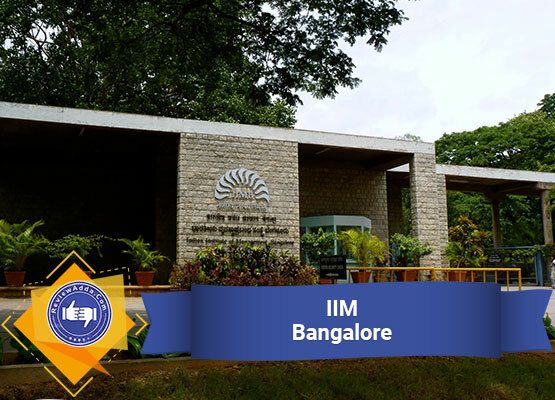 In contrast, fields such as IB are completely different in their approach compared to other MBA branches. Thus, choosing between overlapping fields isn’t as much of a risk. So, MBA aspirants should ideally choose the best college they can find even if they get a derivative branch of their preferred field. On the other hand, if the field is highly specific such as IB or HR, it is advised to choose course over college. The fact that we are in this position of extrapolating a choice between course and college strikes a very dissonant undertone. In an ideal world, all colleges should be uniform and every student should pursue which ever course he/she finds suitable. Sadly, this is not the case. Instead of choosing fields which pique their interests, students in India are developing a safety-first approach to college studies. An increasingly dangerous problem has become the false identification with engineering amongst students with a keen interest in pure sciences or mathematics. Aman’s dedication to building his career on his own terms is admirable, but this shouldn’t be a one-off occurrence. 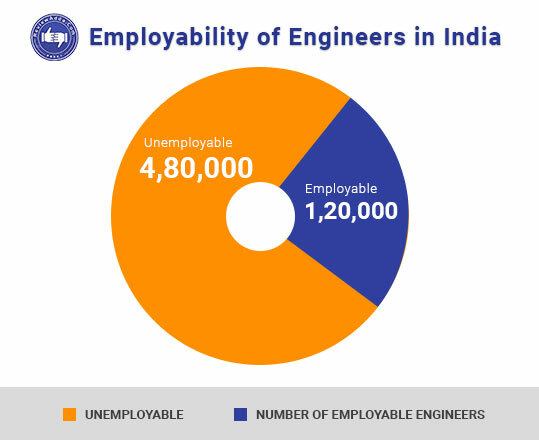 A survey conducted two years back recorded 80% of India’s student populace to be interested in a career in engineer. Assuming this figure is accurate, how is it possible that the scales are tipped grossly in favor of technical education. Do most Indian students really have the desire to pursue engineering or are these students considering engineering as a safe option? Jeevan makes an interesting point. The problem isn’t the mere choice of taking up safe courses like engineering, medicine or business administration, but the flawed approach students use to arrive at the decision. In essence, instead of forcing down the choice between science, commerce and humanities in Class 11 itself, students should be given more time to identify the subjects of their choice. Additionally, teachers and parents need to open up their minds to new horizons and encourage students to make an independent decision. Knowing the lackadaisical pace of reforms in the education sector of India, expecting immediate change is futile. However, one can expect a change in approach in the coming years as we move into a different sphere of information and technology dispersion. Barring a miracle, the debate between course vs college is here to say for the next few years. Choose wisely, choose fearlessly and take nothing for granted. Placements in this college is the worst . It was a new college when i joined and i thought that it will improve in 2-3 years. But that didn't happen. The college management always thinks about making money but not about students future. Not even a single core company came to this college. We were taken to some companies which were of support, that is of no use. Placement wise this college is worse.